Reproduction cap badge of the 5th Seaforth Highlanders (Sutherland Rifle Volunteers) 1880-1908. 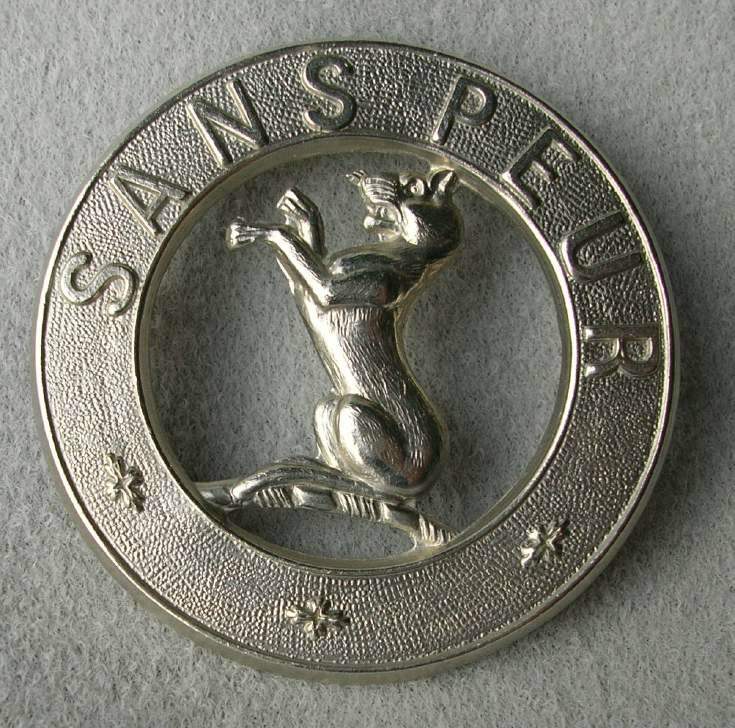 White metal ring stamped SANS PEUR, with Sutherland cat in centre. The real version of this badge was worn by Other Ranks of 5th Battalion Seaforth Highlanders (Sutherland & Caithness) after 1920 and into WW2. ~ Thank you for your comment. ~ Administrator.